Vintage Tudor manual wind Chrono, with exotic dial, similar in design to the Paul Newman Daytona. 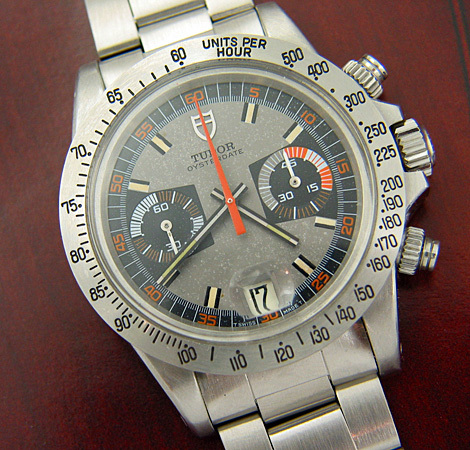 This vintage Tudor Chronograph reference 7159, is more commonly known by its pop culture title, the Tudor Monte Carlo, in reference to the roulette wheel like alternating colored out seconds chapter on the dial.The watch has become one of the most sought after vintage Tudor models in the marketplace. 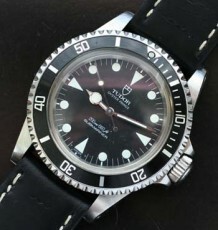 The most likely explanation is its similarity in form and function, not to mention heritage, to the Paul Newman Rolex Daytonas.The all-original dial is in excellent condition with no flaking. 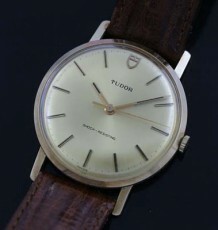 The centre section of the dial has some light patina, which is shown in the close up photos. 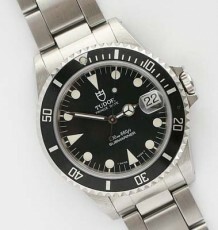 The watch features a very thick stainless steel case that is fitted with a steel engraved bezel. 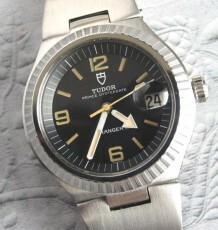 I have just had a brand new Tudor bezel installed on the watch. The watch has a more prominent wrist presence that the Rolex Daytona, given its thicker profile, larger dimensions and the use of a larger Rolex crown than the somewhat subdued Daytona.This particular watch is fitted with a manual-wind Rolex modified Valjoux 234 movement, which was just serviced by a Rolex dealer and is keeping excellent time and functioning flawlessly.The inner stamping of the case back dates the watch to the first quarter of 1972.The watch measures 40 mm wide by 48 mm long and is supplied on a brand new vintage style Tudor Oyster bracelet, reference 7836. 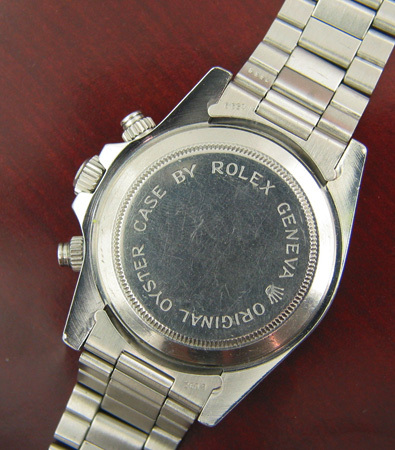 The watch will be supplied with the remainder of the warranty from the Rolex dealer, expiring Oct/07.